FancyBox is a tool for displaying images, html content and multi-media in a Mac-style “lightbox” that floats overtop of web page. Features are HTML elements, Can display images, SWF movies, Iframes and also Ajax requests, Customizable through settings and CSS, Groups related items and adds navigation, Support fancy transitions by using easing plugin, Adds a nice drop shadow under the zoomed item and more. Flashlight is a Simpliest Jquery Lightbox Plugin. A versatile, auto detecting content, lightbox/modal window for use with images, embedded content (YouTube, Vimeo, Daily Motion and KickStarter), iframes and inline html. A lighterweight gallery module for modern desktop and mobile browsers. A Jquery plugin to generate a facebook like photo viewing box. Litebox is a lightweight, responsive jQuery lightbox plugin used to overlay images on top of the current webpage. iLightBox is a Sleek, smooth, powerful, and revolutionary jQuery lightbox plugin for creative and ambitious web designers and developers. Features are responsive, social sharing icons, Native browser fullscreen support, Smart Content recognizer, Multilanguage support, Touch support, Extended HTML documentation and much more. 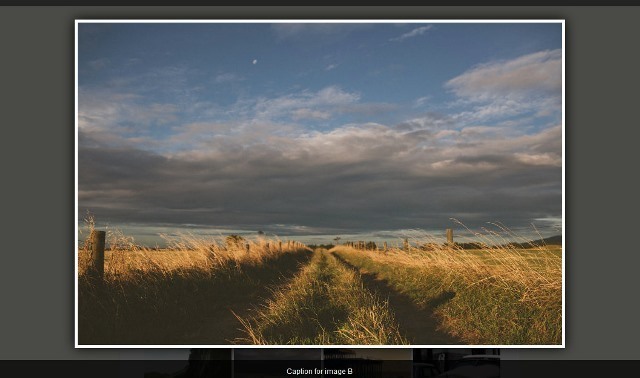 A simply Lightbox plugin for jQuery. Works in IE8 and above. mbufung is a simple JQuery photo gallery, its display photos in tabular form and upon click e have a popup with left and right navigation option.